During Black History month, we remember those courageous people who positively impacted us. 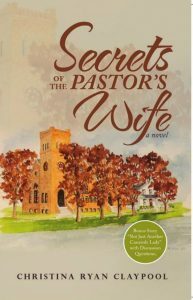 If you read my recently released book, “Secrets of the Pastor’s Wife: A Novel,” you will learn about the example and sacrifice of a loving black woman named Elizabeth “Lizzie” Jones. Lizzie is based on a precious lady who is an important part of my own history. To explain, during the racially turbulent sixties, as a Caucasian child growing up in the Midwest, I didn’t know anything about racism. Therefore, it seemed only natural when Miss Clemmie came to take care of me and my siblings, while my mom was seriously ill.
Clemmie was an extremely overweight African-American woman who had a heart as huge as the girth that surrounded it. My financially struggling family couldn’t have paid her much of a salary, yet she lovingly looked after all of us. With Clemmie there, I instinctively knew that everything would be alright. What I didn’t know then was that a Civil Rights movement was being birthed out of the frustration regarding injustices that African Americans like Clemmie could no longer bear. Not yet a first grader, I couldn’t imagine anyone hating such a wonderful woman, simply for the color of her skin. Eventually, my mother regained her health, so Clemmie no longer came to care for us. Yet her colorblind love, which was based on her faith in the Gospel’s message, “…Love one another, as I have loved you…” had made a lasting impression. A few years later, on June 11, 1963, President John F. Kennedy gave his memorable Civil Rights address calling for an end to the acceptance of segregation in educational institutions, retail establishments, restaurants, and hotels. He also demanded that African Americans be able to vote without the fear of harmful consequences. Just hours after Kennedy’s eloquent speech, Medgar Evers, a Black Mississippi Civil Rights leader was brutally gunned down by a white Ku Klux Klan member. Evers, a World War II Army veteran had survived the Battle of Normandy, but that June night he lay bleeding to death in his own driveway. Fifty minutes later, he died at a local hospital. Although I’ve never been grievously wounded like Evers, I do know what it feels like to lie on cold asphalt too hurt to move. As an eight-years-old girl walking to school, I tripped and fell so hard that it momentarily knocked the wind out of me and scattered my science project everywhere. I was blocks from my family’s house, but an older middle-aged woman heard my cries, and rushed down her porch steps to care for me. I didn’t know my Good Samaritan who shared Clemmie’s mahogany complexion. My grandmotherly rescuer tended my cuts, and then she carefully helped me put my science project back together. She smiled with maternal satisfaction when she finally sent me off to school. That beautiful smile is a treasured memory, as is the remembrance of Miss Clemmie’s massive arms hugging me to her bountiful chest. It’s important to remember the selfless acts of compassion of others. Because whatever our race, everyday society gives us the choice to tolerate racism based on the justification that someone of another ethnicity probably once mistreated us. Christian apologist C.S. Lewis once wrote, “…if we really want to learn how to forgive, perhaps we had better start with something easier than the Gestapo.” But Mrs. Sondheimer didn’t have that choice. Yet we all have a daily choice about permitting racism, which continues to be just as deadly to our society, as Hitler’s gas chambers once were. But sadly, not everyone has a Miss Clemmie or a Liesl to teach them what compassion for their fellow man is all about. Still, if we follow Jesus’ command to, “Love one another,” it would be a much better world. 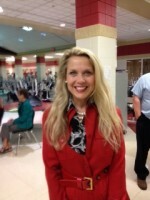 Christina Ryan Claypool is an Amy/Ohio APME Award winning freelance journalist and inspirational speaker. She has been featured on Joyce Meyer Ministries Enjoying Everyday Life TV show and on CBN’s 700 Club. Her Website is www.christinaryanclaypool.com. Her novel, “Secrets of the Pastor’s Wife” is available at all major online outlets. Liesl celebrated our wedding as if she was the mother of the bride. “The future belongs to those who believe in the beauty of their dreams,” said Eleanor Roosevelt. The late Elisabeth “Liesl” Sondheimer was deeply inspired by this former first lady who was once her house guest. 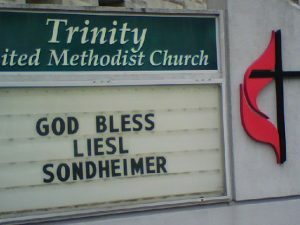 Yet many of us in northwestern Ohio can readily admit that Mrs. Sondheimer was the one who inspired us. Liesl has been gone for almost a decade now, but her life lessons live on. Being a Jewish Holocaust survivor, she had every reason to believe that the world was an ugly place filled with horrific evil. As a young woman she was forced to flee her beloved Germany during Hitler’s regime. Liesl was silver-haired and wrinkled, but still ethereally beautiful, by the time I met her shortly after her 90th birthday in 1997. 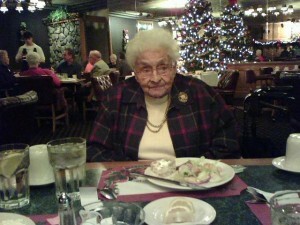 While interviewing her for a TV feature about the Holocaust, I was honored when the local celebrity asked me to join her for supper. One of my greatest life blessings was that this courageous woman took me under her mentoring wing. “No, I think I would have remembered that,” I jokingly replied. She then began to share how decades ago, she had invited Eleanor Roosevelt to visit northwestern Ohio simply by sending her a letter. Her cause was successful, due to some assistance from an influential friend. This Liesl dissertation was the, “You never know… anything can happen if you try” lesson. I needed this motivational message, because life circumstances had tattered my own faith. My brokenness was probably one of the reasons that this dear lady reached out to me. Surviving a near fatal suicide attempt, and then being confined in a state mental institution as a teen had left scars on me that only another survivor could see. Sadly, others battling mental illness whom I had met along my recovery journey, did not survive. Therefore, Liesl, who had been educated in social work, gently guided me in understanding the lesson of “Survivor’s Guilt,” that I must go on, and be grateful for surviving. In explanation, when one triumphs over negative circumstances, it is easy to get stuck in the guilt created by contemplating why others have not been so fortunate. After the Holocaust, the Jewish survivor admitted that this quandary haunted her, too. But she refused to allow this never to-be-answered question about the past destroy her future. Yet to prevent these tragedies from reoccurring, she also believed that it was a survivor’s moral responsibility to speak up on behalf of those still struggling. Even though she forgave, she never forgot the millions of Holocaust victims. Instead she passionately shared her story to warn others about the dangers of prejudice. On a lighter note, there was also the “Beauty is Ageless” teaching, which I learned vicariously while watching Liesl shop for clothes. She took time to look her best, and never stopped caring about fabric, color, or finding just the right accessory. 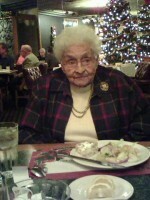 In 2007, for her 100th birthday, I drove her to a mall in a neighboring state where she enthusiastically tried on countless outfits looking for just the right pieces for her wardrobe. But at heart, Liesl was a hopeless romantic, who challenged my initial fears about dating Larry, by asserting that one must be willing to risk everything to have another opportunity for happiness. My own mother had given me this same advice. The following year, Liesl sat smugly in a church pew dressed smartly in a pale pink suit smiling with satisfaction as Larry and I recited our vows in a candlelight ceremony. For me, Liesl’s legacy of living courageously includes: the challenge to embrace forgiveness, to speak up against injustice, to support the arts, to reach for your dreams, and to always look your best. However, I will always be most grateful for Liesl’s “Love” lesson. After all, it was my precious husband’s protective arms that comforted me when we buried my remarkable 101-year-old friend in spring of 2009. This humble humanitarian shared her messages with civic clubs, women’s groups, universities, and in school classrooms across our community. Her story of surviving seemingly impossible circumstances graced her listeners with the gift of hope everywhere she went. Upon her passing, people of different faiths honored her legacy. Today, her lessons live on. You see, those we love never die. They are always in our hearts, shaping our tomorrows with their valuable influence. 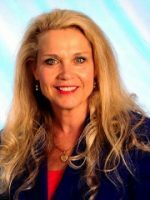 Christina Ryan Claypool is the author of the Inspirational novel, “Secrets of the Pastor’s Wife” which will be released in fall 2018. Her Website is www.christinaryanclaypool.com. It’s Christmastime again! Everywhere you look there are festively decorated store windows, Christmas commercials about joyful family gatherings, and music that floods us with memories of long ago holidays. Yet for many folks, there is also the longing for yesterday that this season can create. 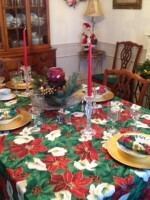 Vacant places at the table where deceased loved ones once sat, or maybe an empty table resulting from a family that’s been broken, or just grown and moved away. There is also the financial burden for economically struggling individuals not knowing how they will make ends meet, let alone having anything left over for their children’s Christmas list. After all, children don’t understand that their circumstances are not conducive for a visit from Santa. My late friend Liesl Sondheimer asked me for my help in sharing her own miracle of holiday provision, but for her it was a Hanukkah miracle. To explain, sometimes the two religious celebrations intersect, as they must have that December almost 75 years ago. Liesl was a Jewish Holocaust survivor who lived in Lima, Ohio for six decades. After fleeing from Germany in 1938, the Jewish immigrant began life anew, but most of her extended family perished. 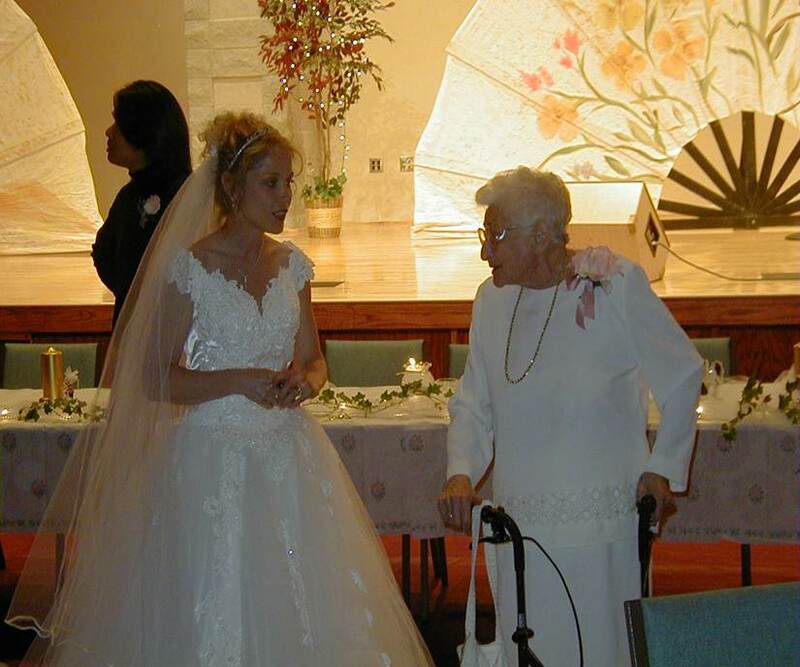 It was a decade ago, when Liesl’s 97-year-old arthritic hands prevented her from writing the inspiring story herself, so I typed it down while she dictated. 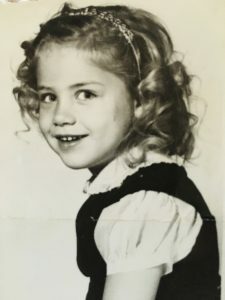 The small of stature, silver-haired survivor began, “…Although my husband was a physician in Germany, we were forced to flee from our home to seek refuge in the United States because of the rise of the Hitler regime. We recently had arrived in this country from Nazi Germany. At the entrance of the dilapidated apartment building that was to become our home, my two little girls asked, ‘Will we get any Hanukkah gifts this year?’ I had to tell them there was no money for gifts when we were not able to even provide for the most necessary things. “On Christmas Eve, there was a knock at the door,” Liesl continued. “The janitor handed me packages with clothing and toys for the children, food, and a little Christmas tree. Asking who the kind donors were, the janitor would only tell me some people had overheard our conversation and did not want the children to go without gifts this holiday season. They did not even want us to know their names. The compassion of other human beings is something that most of us desperately need to be reminded of right now. With nightly news broadcasting horrific features about the cruelty of individuals involved in terrorist attacks, school shootings, and ongoing racial tension in metropolitan areas, we can forget about all the giving folks trying to make the world a better place. Besides, at Christmastime, we frequently witness the very best in people. The countless law enforcement officers making sure local kids have gifts to open; the churchgoers everywhere who collect thousands of shoeboxes filled with little blessings for impoverished children overseas; the service clubs, ministries, and organizations working diligently to fill the gap for parents through local programs or through Angel Tree and Toys for Tots; the Salvation Army volunteer bell ringers grateful for each dollar donated; the school personnel and families secretly giving to those in need among them; and the list goes on and on. Mrs. Sondheimer refused to allow her once painful circumstances to make her bitter. 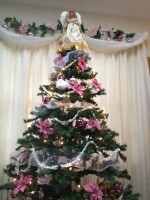 Rather, she chose to celebrate the memory of a holiday miracle when her family was cared for by strangers. It might help to remember that the reason for the season was never about festively wrapped gifts anyway, but about a baby born in a humble Bethlehem stable offering mankind the gift of God’s love. In closing, Merry Christmas and a very Happy New Year to all! 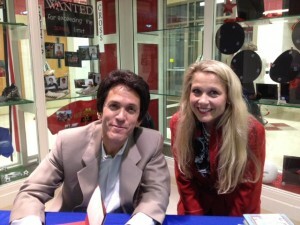 Last fall, I met my writing idol, Mitch Albom. The famous journalist was the keynote speaker for a Cancer Awareness Symposium held near Dayton, Ohio. Like hundreds of other mostly Ohio fans, Albom signed my copy of his book, The Time Keeper. Then he let my husband snap our photo together, which I promptly posted to Facebook. It’s increasingly difficult not to see the literary genius of this Detroit Free Press columnist. Albom’s book writing genre was originally sports-related, although several have dealt with spiritual issues. They include “Have a Little Faith” published in 2009, “The Five People You Meet in Heaven,” (September 2003) and 1997s “Tuesdays with Morrie.” All of which were made into movies. “Tuesdays with Morrie” continues to sustain popularity probably because it addresses one of the most challenging issues that individuals must face; human mortality. It wasn’t predicted to be a bestseller, but years and millions of copies later and counting, readers have voiced their opinion. It was almost a decade ago, when the question of death began to preoccupy my own thoughts. At the time, I was waiting for the results of a biopsy for a relative who I love more than my life. During those long days of waiting, I tried desperately to busy myself with distracting activities, so I opted for a little “Retail Therapy.” While spending time shopping, I first heard the now classic country tune, “Live Like You Were Dying” being sung by Tim McGraw. While listening to these poignant words, I stood motionless in the store aisle clutching a pair of kitchen curtains, fighting back tears. My faith crumbled. I was fearful that the song was some kind of prophetic preparation for the bad news that was soon to be relayed concerning my loved one’s biopsy. Thank God, I was wrong. The physician’s verdict was “no cancer.” I was so relieved that I can’t remember what the doctor said after that. But since then sometimes these challenging lyrics come back to me. Like recently, when just days before the pool closed for the season, I heard Live Like You Were Dying over the loud speaker there. It’s been almost a decade since I had first heard this tune, and I now view life a lot like Morrie Schwartz. 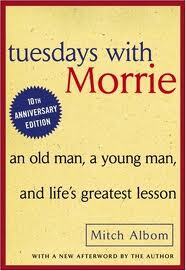 Because I think it was Morrie’s wisdom that taught me to try embrace whatever life stage you’re in as I traveled through his last days with him thanks to Albom’s writing.